The holidays are one of the most lucrative seasons in eCommerce. To ensure you’re prepared to deck the halls with bounties of turnover, we’ve compiled a list of relevant extensions from the Community Store. 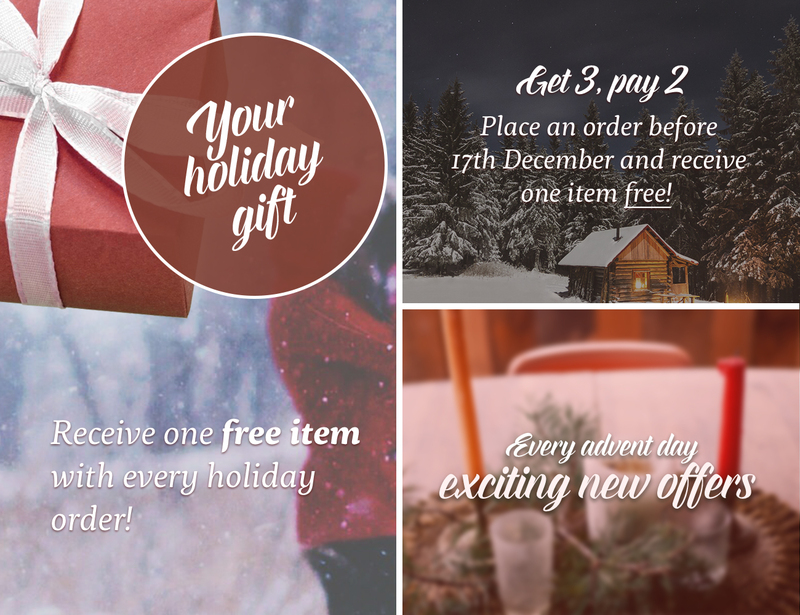 In the “Holiday season” section, you’ll find useful holiday templates, plugins that highlight the expected delivery time, extensions for offering gift packaging with a greeting card, and more! Using this all-in-one tool, you can plan a wide variety of campaigns in advance and launch them on a time-controlled basis. Taking pages from the rulebook of classic sales, you can increase your conversion rate using campaigns such as “Buy tree, pay two”. With Nosto's personalisation solution, algorithms and big data are combined to display the most relevant products for your customers in real time, based on their purchasing behaviour. You can control the playout of these product recommendations directly in the store, e.g. via pop-ups, social media ads or email marketing. Help your customers find complimentary items by creating bundles. A wool hat with a matching scarf and mittens; a camera lens with tripod and SD card – the possibilities are only limited to your imagination. Make your bundles even more attractive by offering a percentage or absolute discount off the total price. Your bundles will be highlighted in your storefront with a red discount tag. To relieve your customers of often tedious task of wrapping a gift, you should install the plugin "gift packaging". With this plugin, you can assign which of your products come with optional gift packaging. You can also assign different packaging designs and determine whether to add a charge for this service. The plugin also offers the option of adding a free greeting card with individual text. Your customers can then easily select this service when placing their order. Attract twice as many customers to your online shop – this plugin lets your customers create individual wish lists of products, which can be shared via social media or per direct link to their friends and family. Like the other Premium Plugins, this can be utilised year round to give your store an extra boost in sales and customer satisfaction. Our Community Store features a number of useful extensions to boost your holiday business. Check out the collection of plugins in our "Holiday season" section and start preparing for a profitable retail season today.